They are giving away a sweet collage of the winner's choice soon, and so I clicked through to see what was being offered. I saw this little guy and thought about the first time I saw my little guy. 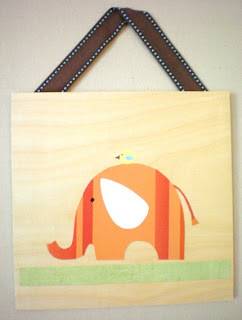 So, seeing this elephant and bird together completely took me back to one of the first times I saw my boy. *sigh* Time for kisses and cuddles! DIY My Little Pony Canvas Bags with a 3D Tail!